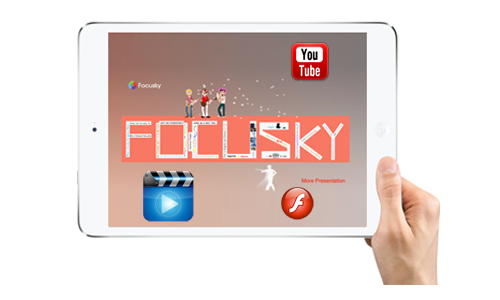 Focusky, a user-friendly platform to help you create non-linear multimedia presentations with animation effects. Moreover, this online presentation creator can even make it easier and faster for you to share and distribute your online presentations. Honestly speaking, Prezi has changed our idea of presentation by revolutionizing the way of presenting. Its powerful features have gained its fame in this field. 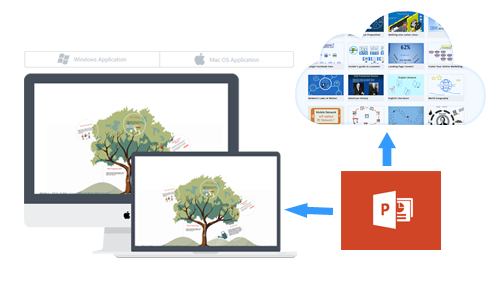 Prezi’s non-linear presentation with 3D relations and zooming effect has won over a large number of customers from Microsoft PowerPoint. Realizing the potential of modern presentation, more and more players are entering into this game. It’s easy to search for Prezi alternatives, but few of them can really compete with it. 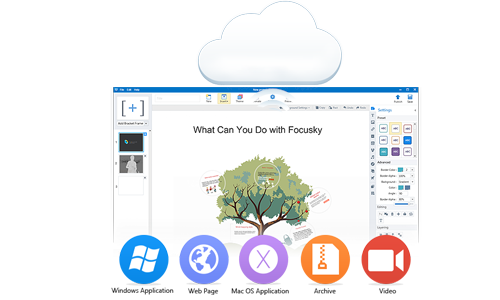 Focusky is the very free Prezi alternative that can do whatever Prezi offers. Check out! Focusky offers two solutions for you to create online presentation: desktop client and online system. You can download the desktop client (Windows or Mac) and install on your Windows PC or Mac computer so you can create zooming presentation using well-categorized templates or start from scratch. And the online system allows you to convert your PDFs or PPTs into online presentations. In addition to the zooming and panning effect, you can make the presentation more interactive by embedding multimedia elements such as video, YouTube, audio and flash. Besides, you can make it more dynamic by enriching the embedded objects with animation transitions such as entrance, exit and emphasis etc. This will help impress your audience. In order to help you share and distribute the online presentation more easily and effectively, free Prezi alternative Focusky enables you to publish the presentation in optional forms. You can publish it online to Focusky Cloud directly and then you can share your works on social networks such as Facecbook, LinkedIn, Google+ etc. Publish it as web page to upload to your own server; Archive it in ZIP file to share via email; Output it in Windows or MAC OSX application to run on Windows (EXE) or Mac OSX (APP); Convert it to MP4 video so you can upload it to YouTube or Vimeo, or even burn it to DVD for distribution.